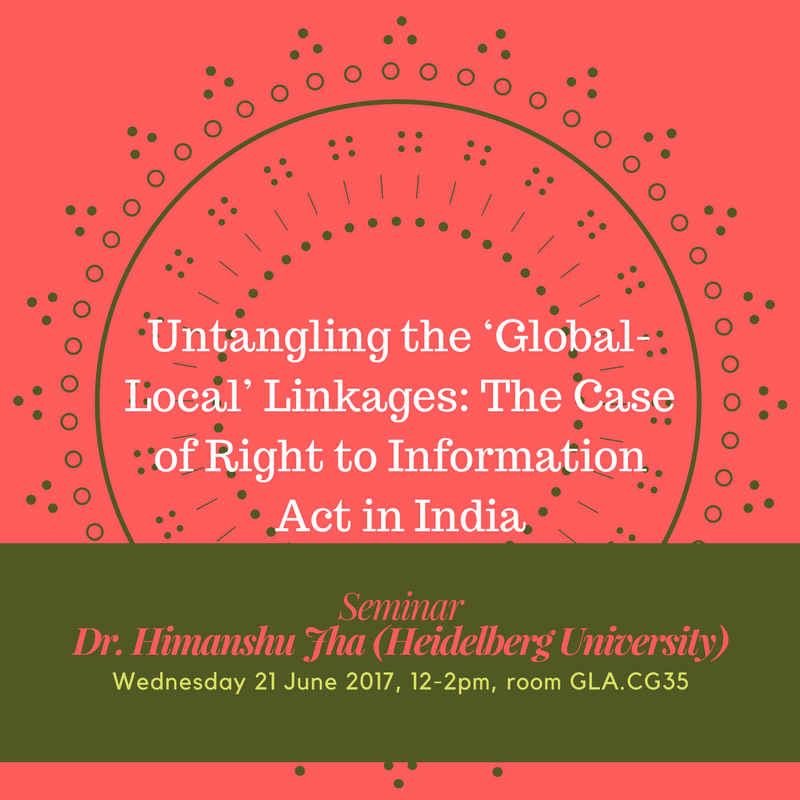 Seminar: "Untangling the ‘Global-Local’ Linkages: The Case of Right to Information Act in India"
Dr. Himanshu will be presenting during a seminar "Untangling the ‘Global-Local’ Linkages: The Case of Right to Information Act in India", Wednesday 21 June, at 12pm, in room CG35 (Glasnevin). 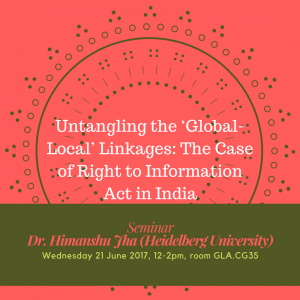 Dr. Himanshu will be presenting during a seminar “Untangling the ‘Global-Local’ Linkages: The Case of Right to Information Act in India”, Wednesday 21 June, at 12pm, in room CG35 (Glasnevin). All are welcome. If you would like any information, please contact india@dcu.ie. Globally one finds a proliferation in transparency laws. This is evident from the fact that between 1990-2010, 76 countries have promulgated laws or ordinances around freedom or right to information. Indeed, this pattern point towards global norm diffusion around transparency laws. This paper locates this ‘global’ trend within the ‘local’ context by examining the domestic and global ‘processes’ involved in the passage of Right to Information Act 2005 (RTIA), in India. The paper argues that RTIA signifies an institutional change since it replaced the norm of ‘secrecy’, nested and perpetuated within the Indian state since colonial times with the norm of ‘openness’. Was this institutional change a result of an endogenous process? Or the exogenous factors such as the global policy stimulus around transparency and accountability played an instrumental role in the institutional change? The convergence of ‘good governance’ agenda of International Monetary Fund (IMF) and the World Bank (WB) focusing on transparent and accountable government initiated in the 1990’s as a part of conditionality of Structural Adjustment Programs with the global move towards enactment of laws on access to information suggests role of exogenous factors. Was this true of institutional change in India as well? 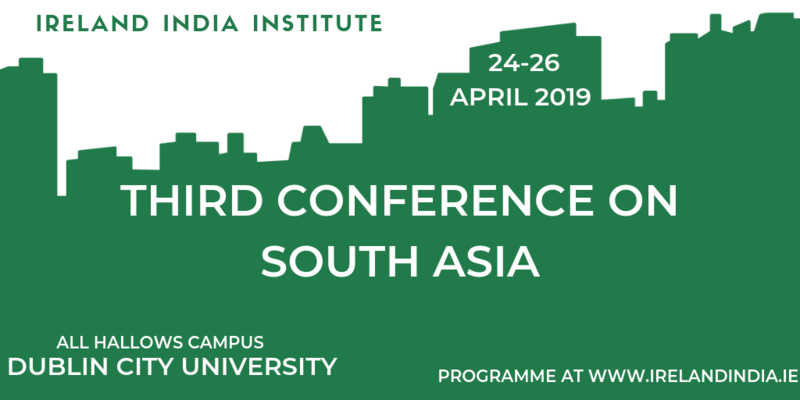 The existing scholarly literature argues that the international influence was “marginal” and the “drive was fueled from the grassroots up”(Florini 2007, Singh 2011). In this light, this paper explores the process of ‘norm –diffusion’ from global to the local by examining, how ‘home-grown’ (Singh 2011) was the process of institutional change? 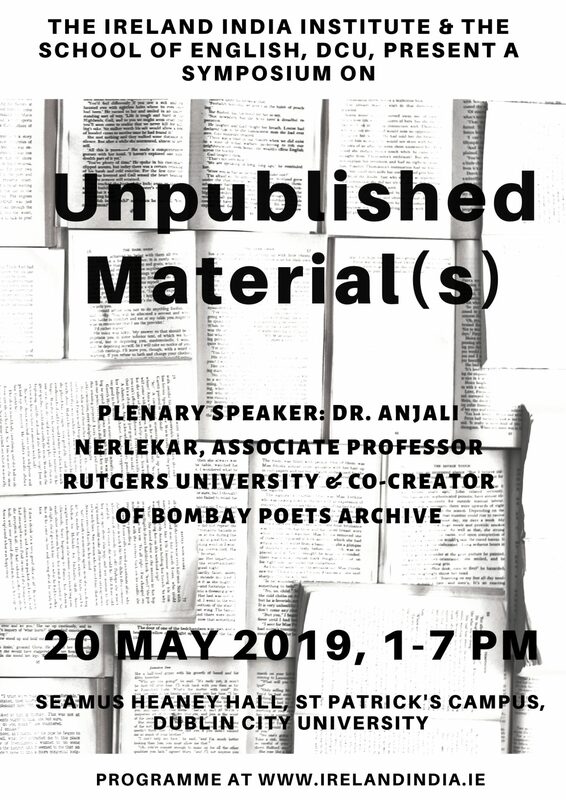 By bringing in some historical archival material and internal government documents the paper attempts to unravel the degree of ‘norm diffusion’, and the extent of exogenous factors and global norms in affecting institutional change in India.